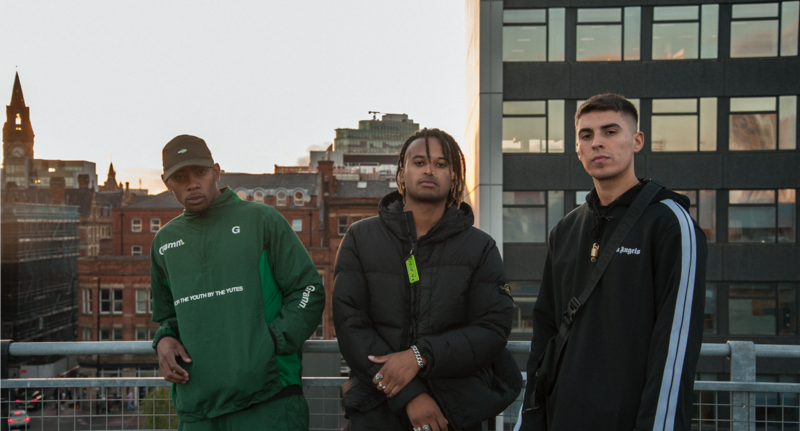 Formed in the city brimming with young talent, The Mason Collective is made up of three friends from south Manchester, Blair Suarez, Mase Milo and Omar Gueda. Since founding in 2014, the trio have been pioneering all angles of Manchester’s creative scene, and if you’ve partied in Manchester you should know about The Mason Collective. From their own trademark sell-out MVSON events to frequenting fellow Manchester parties Kaluki, WHP and Parklife alike, their energy is unstoppable. Young and ambitious, the trio aren’t just pioneering their sounds in house and techno but also their signature style. After a landmark summer, I spoke to the guys to hear more about their upcoming releases and their continual involvement in the city’s home-grown fashion scene. Clearly staying true to themselves is what is working so well for the trio. Their most recent achievements include playing amongst some serious line-ups in summer, both in Ibiza and across the festival circuit, in addition to their more recent sell-out Halloween MVSON events. Milo tells me that ‘Our last MVSON event sold out in about 3 hours and I think that’s the quickest we’ve ever sold out one of our parties, so that was definitely something to be proud of.’ Yet the trio are making waves much further afield than from just their loyal Manchester following. Blair says ‘Personally I think I’m most proud seeing the guys we’ve always looked up to like Loco Dice, The Martinez Bros, Jamie Jones actually play our stuff at the clubs and events we’ve always gone to like DC10, Paradise and CircoLoco, it’s unreal.’ Their success pays into numbers as their newest release ‘Feelin’ Ugly’, is working its way up the release charts on beatport, being released on Jamie Jones’ own label Hot Trax, which Blair deems to be ‘something we have always aimed for’. Stemming from a cult following of their distinct MVSON party vibes in Manchester, The Mason Collective are continuing to captivate a large following much further afield, and have a promising future ahead of them. What’s clear is that they’re carving their own path in the industry due to their distinct sound and style, and long may it continue.